It was very overcast and quite humid in Hobart most of today. Although I was supposed to go to an event nearby, I decided to stay home and potter around the garden. The girls were very pleased because this meant lots of extra treats for them and they rewarded me with eggs as usual. 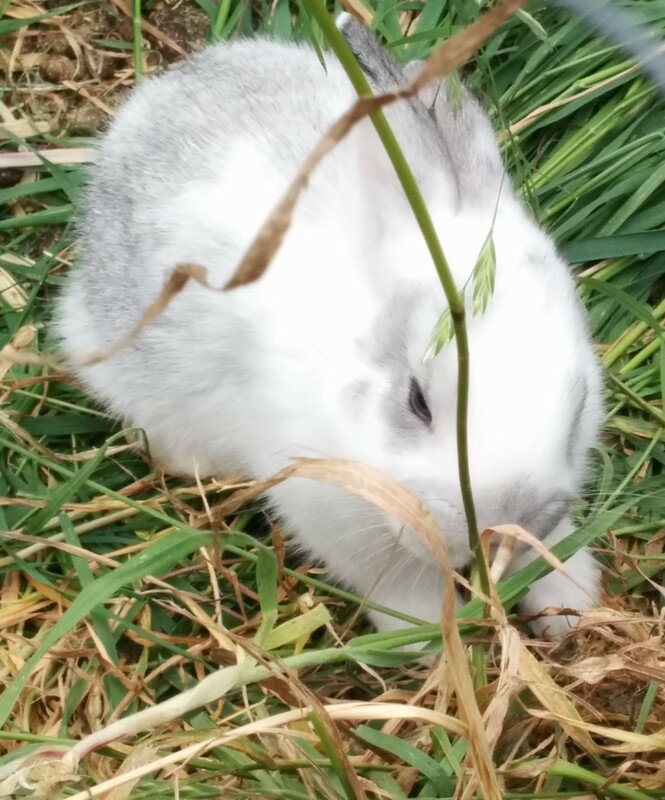 Boudica Bunny is also eating enormous amounts at the moment and all the babies are out and starting to get the hang of this eating solid food caper. I potted up more basil, chillies and Green Shiso (Perilla fruitescans var. crispa), a wonderful Japanese annual herb, which I primarily use in stir fries and salads. I’ve grown it in the past but never had such a fabulous strike rate as I did with this year’s seed supply. It’s looking wonderful and already has that unmistakable flavour and aroma. I find it likes a rich potting mix and lots of warmth for quick growth, similar to basil. And then there was the completion of half the “corner of shame”. This is a classic before and after situation. Admittedly, we’re only half way there but that’s a lot further than we were a few weeks ago! A thick layer of coarse sand went over that and it was topped with some well composted native bark mulch, which I’ve found considerably less acidic than pine bark mulch. 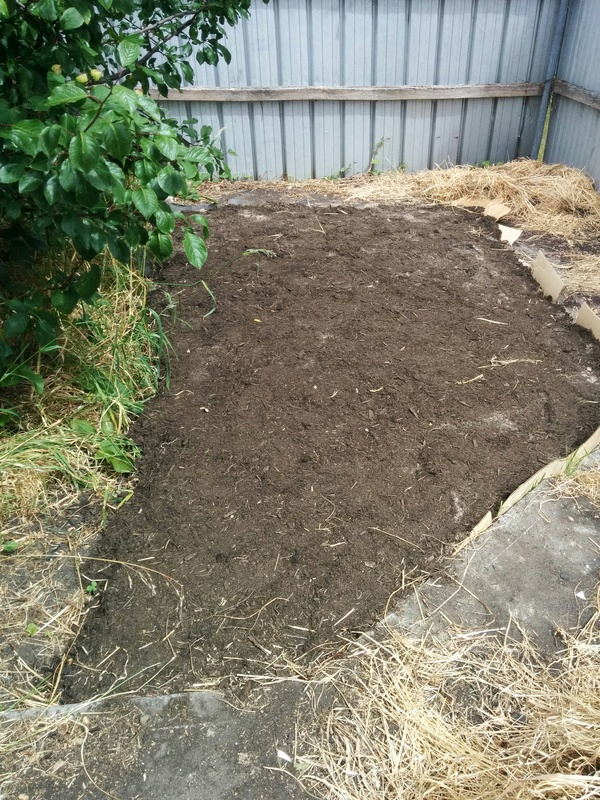 We did the same thing behind the chicken house and I’ve planted two Australian Tea-Trees (Leptospermum sp.) there to provide some extra wind protection for the ladies who lay. 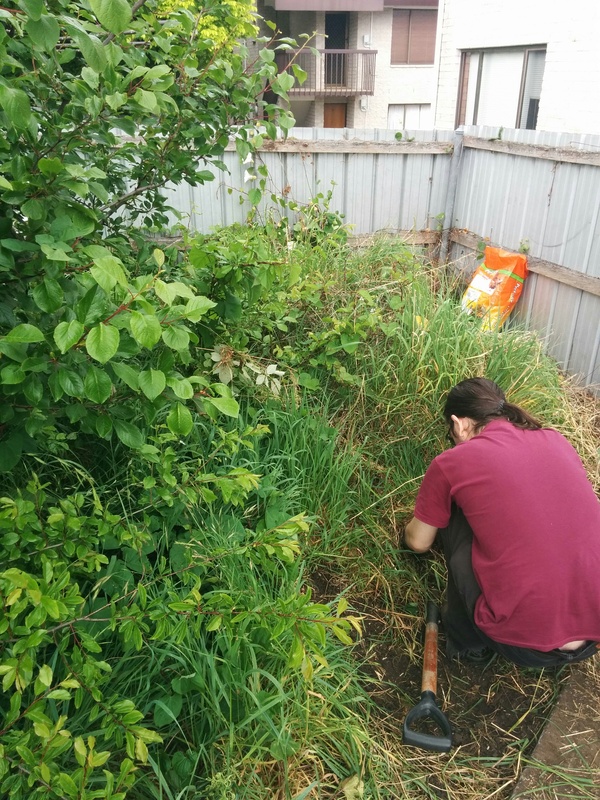 The weeds will grow back – but not as quickly or as vigorously as they have in the past. I want to plant a couple of English Lavender here in the next few days and I’m planning to put netting or shade cloth above the fence to give a little more height for growing climbers in tubs and privacy both for and from our neighbours. Next spring, this is the likely spot for my beehive, angled in towards the garden. 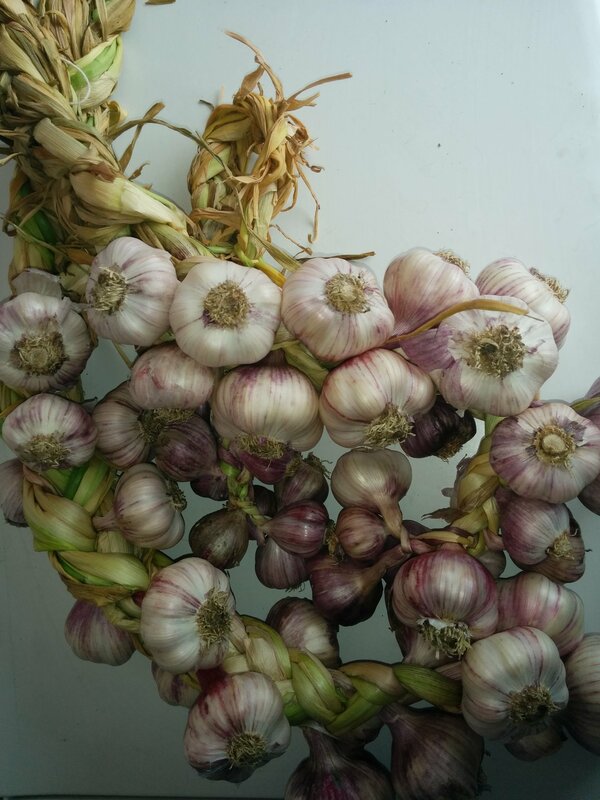 I also finished the garlic crop, which has been curing inside the last two weeks. It’s now cleaned up, the tails have been clipped and it’s in three plaits, hanging off the laundry/kitchen door. It’s quite a decent amount this season, considering I’ve used and given away at least half a dozen or so heads already – and there’s more in the ground that needs pulling!